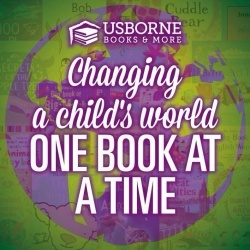 Come to Wild Child Clothing & check out Usborne Books & More! Consultant Jacqueline Muehlbauer will be there from 1pm-5pm showing off her inventory of Kids Books. She has books for ALL AGES & all proceeds will benefit a local charity!! Stop by & be entered in a drawing for a chance to win a FREE BOOK!